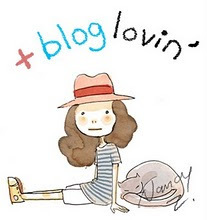 Green Dots & Rainbow Stripes: Blogger Award! Only 2 weeks in blogland and I got an award! :) Thank you very much ElaineB! 1.Add the award to your blog. 3.Mention 7 random things about yourself. 6.Inform each of the 15 by leaving a comment on their blog. 1. So first I have to figure out how to add the award to my blog, before I can actually add it. Well, I can do that after this post I suppose. At least it's on the top of this post! 2. I've thanked ElaineB now a few times, think that'll be good enough. 3. Ahh, this is one I love! But I'll do it further down! 5. This is something I might do in the future, as I said earlier, I'm new in blogland and I will have to take some time for this. So probably: to be continued! 6. Also: to be continued! 1. I've been baking cookies a few days ago and already ate them all! 2. I have to read at least a few pages in a book before I go to sleep. 3. I really miss riding on my motorbike now I'm in Sweden, because my bike is in the Netherlands. 4. I like to splash in the puddles on the street after if had been raining. 7. I want to bake more cookies. van mij krijg je ook een award, kijk even onderaan dit bericht. Oh wat lief van je!! Ik zal er later wat over zeggen..